Statements and Invoices are documents that include all financial transactions on a family's account for an enrollment year, but serve different purposes. Statements give families an overall summary of transactions on their account, along with an outstanding balance. 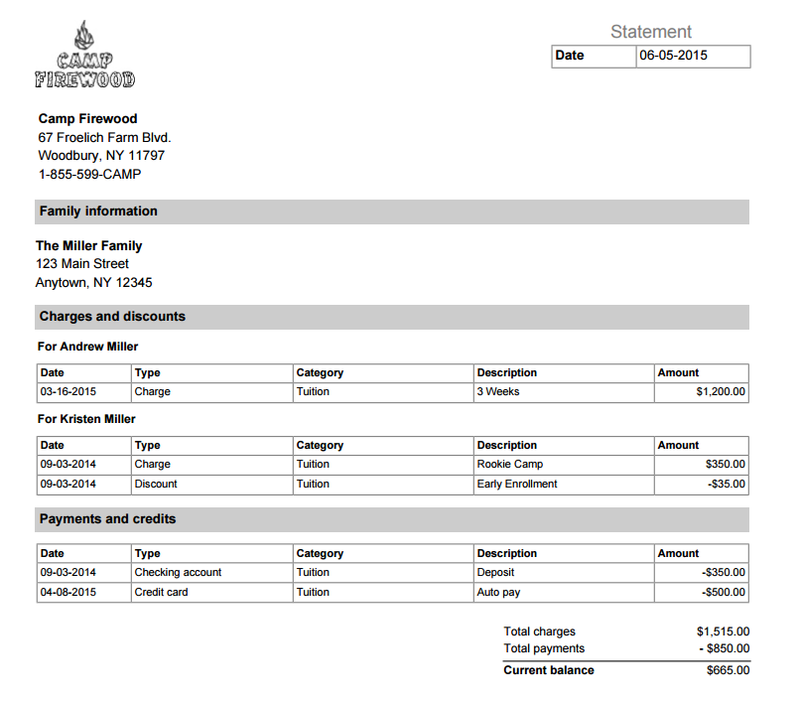 Invoices also display all transactions, but should be used as a solicitation of payment. 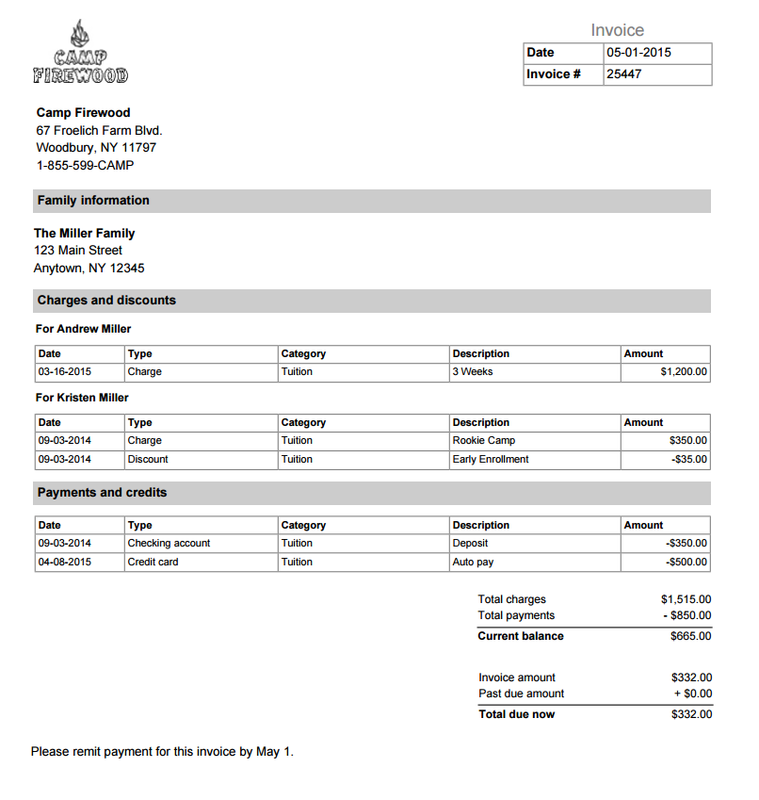 In addition to outstanding balance, invoices indicate a specific amount to be paid by a certain date. Non-auto pay invoices will include a second page with a payment remit slip.